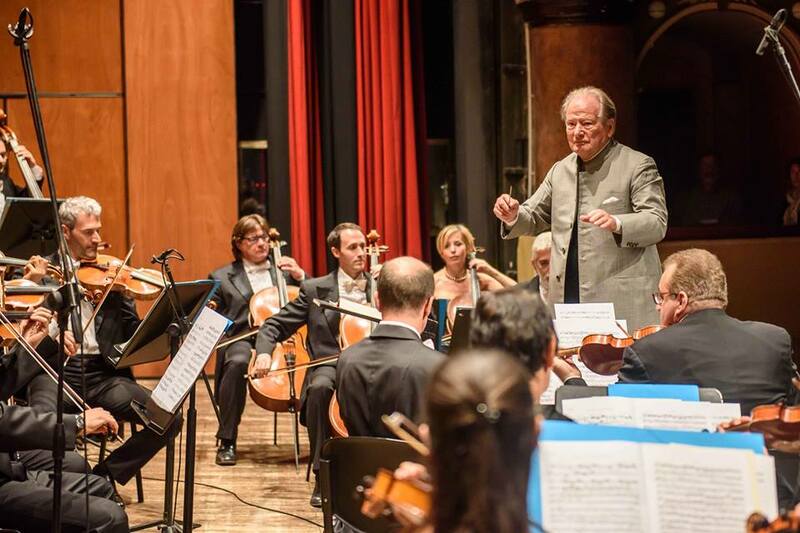 The Orchestra di Padova e del Veneto have posted pictures of Neville conducting them on Thursday, sprightly as ever at 92, totally at one with his musicians. Two days later, he breathed his last. This is how we should remember him. male “Diva” conductor past and present. Rest now. I remember one very special evening with Sir Neville Marriner and The Acadmy at the San Francisco symphony. Murray Perahia had been scheduled to play and had been taken ill. The (then) relatively unknown Yuja Wang had been tasked with playing in his place. This very young girl in a beautiful red dress came and played before an audience who was expecting amazing things from both The Academy and Murray Perreia – who was not there. Yuja Wang played beautifully and, when she was done, Sir Neville Marriner went to her and gave her the warmest congratulations, ending with a lovely, fatherly hug. I will never forget the sight of this tiny girl in a red dress engulfed in a bear hug from this stately man. The audience rose to their feet in a standing ovation for both of them. His utter graciousness and gentility will be missed. My wife and I had the great honor of attending a performance of The Academy conducted by Sir Neville at Cadogan Hall last spring on his 92nd birthday. At the time I commented that if I had the choice between seeing Sir Paul McCartney perform live or Sir Neville Mariner conduct live, I would, with great respect to Sir Paul, choose Sir Neville. I stand by that today. His many works will live on. May he rest in peace.